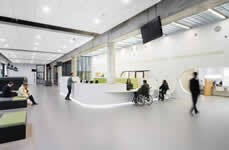 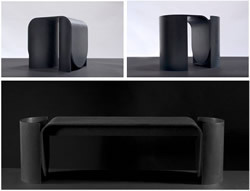 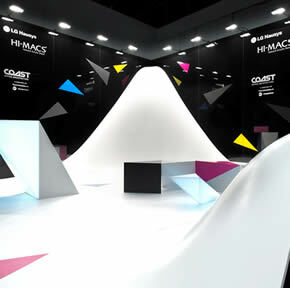 HI-MACS® from LG Hausys is a solid surface material that can be moulded into any shape. 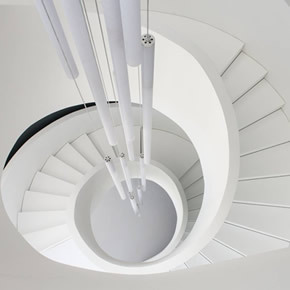 It is widely used for architectural and interior applications, such as sculptural and high performance wall-cladding or kitchen, bathroom and furniture surfaces, in commercial, residential and public space projects. 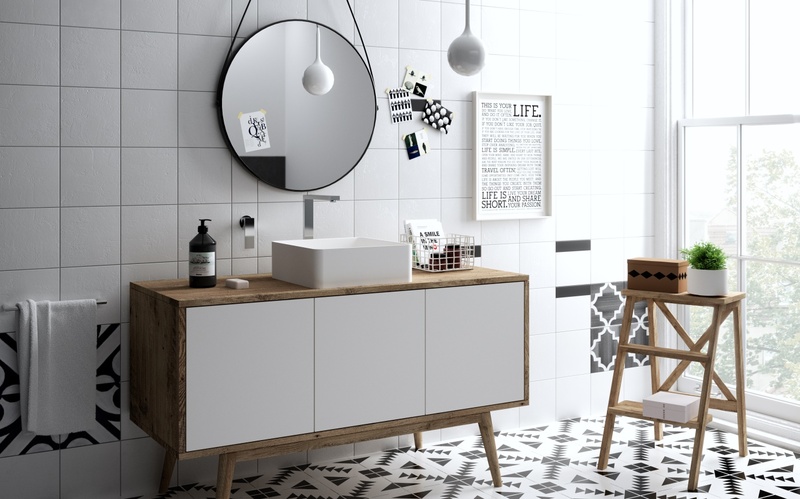 Although HI-MACS® is almost as robust as stone, it can be worked in a similar way as wood: it can be sawn, routed, drilled or sanded. 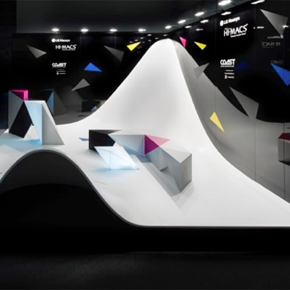 HI-MACS was recently displayed at 100% Design, showcasing how acrylic stone can be transformed from exotic curves, to sharp angles and seamless joins. 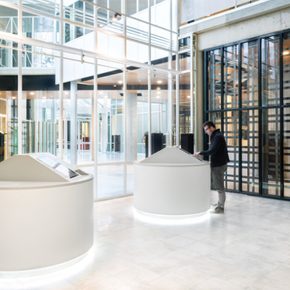 Solid surface material, HI-MACS, has been used in the construction of a new Italian headquarters, which has been designed by Ilaria Moss for Inox Fondi. 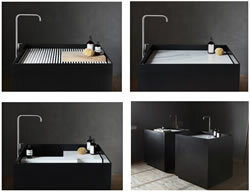 HI-MACS acrylic stone will be on display at London’s annual 100% Design exhibition for designers and architects, which will take place from September 23-26. 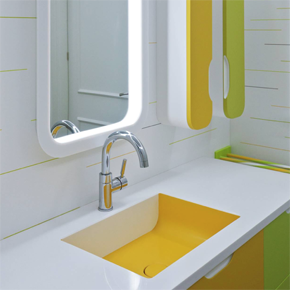 LG Hausys’ HI-MACS acrylic stone has been showcased in an eye-catching bathroom design by the Atvangarde Interior Design Team.